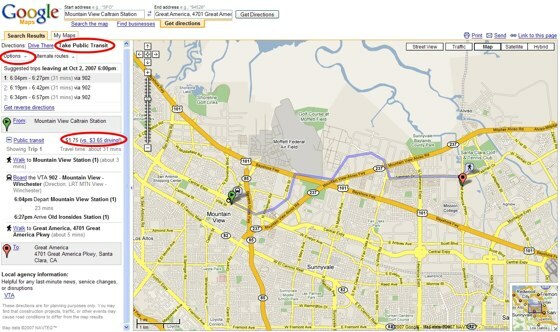 Google Transit, Google’s public transport mapping feature, has graduated from Google Labs. The service is now fully integrated into Google Maps, with users now being able to select “Take Public Transit” as an alternative to driving instructions. Google Transit doesn’t cover public transport everywhere, but the list is growing. According to Google recent additions include transit maps for the Santa Clara Valley Transportation Authority, and Hampton Roads (VA) Transit and the Bay Area Rapid Transit System. Non-US transit mapping is also available for China, Japan and parts of Europe.